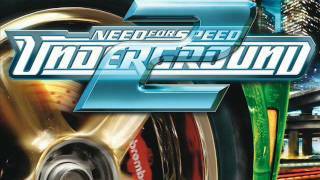 Part of Need for Speed Underground 2's soundtrack. Also, please make sure you listen to the track in full before copy-pasting anything.. I'm not hearing "A live that's uncertain" near the end, for example. Please don't use any punctuation marks other than the q-mark or exclamation mark (or no punctuation at all) at the end of a line, Deathmask.